Victoria Cast Iron Skillet Or Grill Pan Only $14.99! Down From $40! 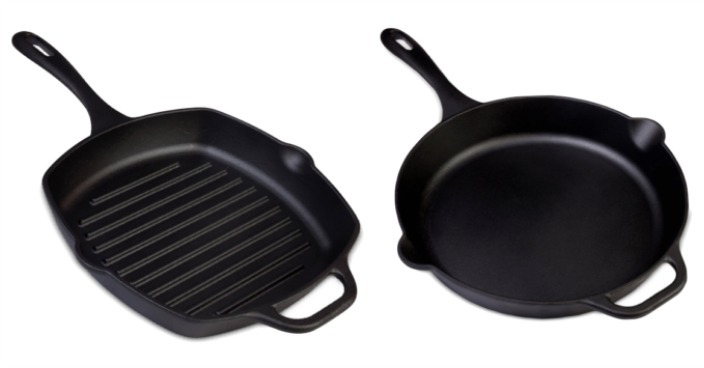 You are here: Home / Great Deals / Victoria Cast Iron Skillet Or Grill Pan Only $14.99! Down From $40! Macy’s has this Victoria Cast Iron Skillet or Grill Pan on sale for $24.99 (Reg. $40) but you can get either one for only $14.99 when you use promo code SUP25 at checkout! Plus shipping is FREE on orders over $50 or with any Beauty purchase!